Many years ago in another life in the wonderful state of Queensland we had a Premier named the Joh Bjelke-Petersen. 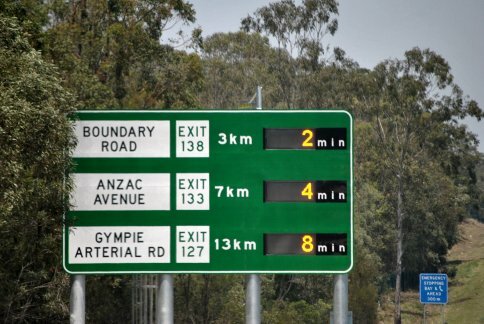 Among other things Joh thought Queensland was the most wonderful place to live and he wanted other Australians to experience the same thing so he invited them all to come and live here, now we know that was a mistake, our infrastructure just won't cope with the number of cars on our roads. 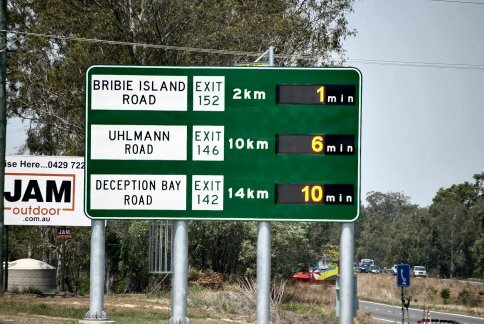 However, in the Bligh government there was a bureaucrat who listened to his minister when the minister wanted something done about the traffic jams on the Bruce Highway coming into Brisbane from the north. 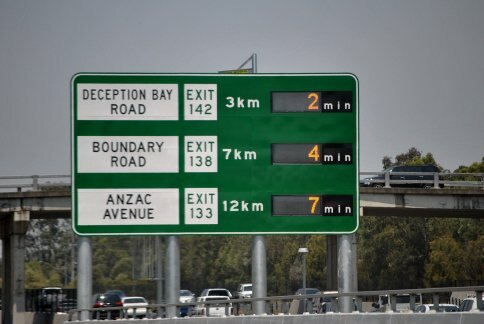 The bureaucrat said to himself, I've got a bit of spare money in the bank, why don't we put up some signs telling the motorists how long it'll take to get to the next exit, that'll fix everything. 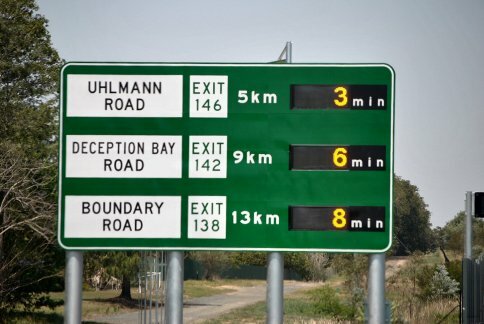 And so, after spending approximately $4 million they erected four signs that tell you how many minutes it'll take you to get to the next exit. I wonder, given the current Newman government policies if that bureaucrat still takes home money out of the public purse. Rather than spend 4 million on trying to fix the traffic problems we'll just tell people how long they have got to suffer and at the same time we'll tell them in the media every day that the suffering is going to go on for a lot longer and it's going to get a lot worse. $4 million well spent, don't you think!! !